Female pilot wrenee is known for her epic dronie locations. This video by the powerhouse pilot takes the cake with her smooth flying above the trees while she lies below on a thin bridge. 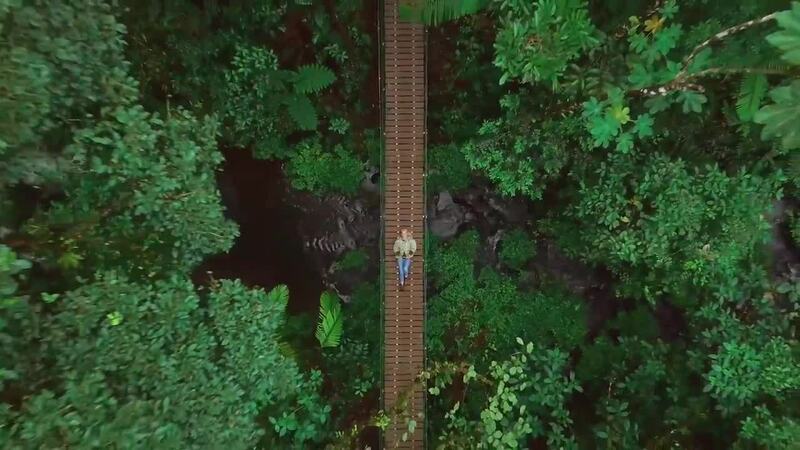 Shot above the Tenorio Volcano National Park in Costa Rica this video is a wonderful example of how to take the perfect top-down dronie. "Rio Celeste, Costa Rica Dronie" is nominated in our 2nd Annual Drone Video Awards.